For more than two years, a carpet cleaning company in Virginia has been trying to compel Yelp to turn over the identities of reviewers the company accuses of posting false and defamatory information. While both a trial court and a state appeals court have told Yelp to fork over that info, the crowdsourced reviews site has not yet done so — and tomorrow it takes its case before the highest court in Virginia. It all began back in the summer of 2012, when the carpet cleaner filed suit against seven anonymous Yelp reviewers, claiming they had deliberately posted false, negative reviews in an attempt to hurt the business. The company then subpoenaed Yelp, requesting the real identities of these John Doe defendants. Yelp objected, claiming its users’ rights would be violated if they were identified without the plaintiff first proving that certain conditions had been met. In Nov. 2012, a trial court in Alexandria, VA, ordered Yelp to abide by the subpoena and provide the requested information to the plaintiff. Yelp, maintaining that its users had a right to privacy, failed to oblige but did offer to investigate on behalf of the plaintiff. The carpet cleaner did not accept this offer, and in Jan. 2013, the court found Yelp in contempt. In May 2013, Yelp, working with the advocates at Public Citizen, appealed the trial court’s ruling, arguing that a plaintiff must show evidence that a defamation lawsuit has merit before Yelp should be compelled to identify the users. Additionally, there should be a factual showing that the statements made by the John Doe defendants are, in fact, false and defamatory, argued the appeal. But that appeal fell on deaf ears when the state appeals court sided with the plaintiff in January of this year. At the heart of the appeals court’s decision is the plaintiff’s as yet unproven claim that the reviewers in question were not actually customers of the carpet cleaner. This is where there is a bit of a legal catch-22. The plaintiff can’t prove that the reviewers were not customers without revealing their identities, but Yelp points out that these reviews are no different in content than many of the other reviews posted by others and that the carpet cleaner is not taking any particular issue with the other statements of fact made in the review; thus the plaintiff would have difficulty proving that the speech is defamatory. The carpet cleaner contends that requiring a plaintiff to show that speech is likely to be proven defamatory in order to unmask a reviewer “would be a license to defame, so long as the defamers publish their speech anonymously,” but the flip side of that coin is that businesses could use the “but they weren’t even customers anyway” claim to reveal reviewers’ identities. Even if it turns out that the reviewer was indeed a customer, his or her identity would then be a matter of public record. The appeal contends that “the only falsity alleged in the complaint is the assertion that, contrary to the assertions in each of the contested reviews, in fact the posters were not actual customers” of the carpet cleaner. The U.S. Supreme Court has repeatedly recognized the First Amendment right to speak anonymously. At the same time, it has also acknowledged that there may be a compelling government interest that can overcome that right. 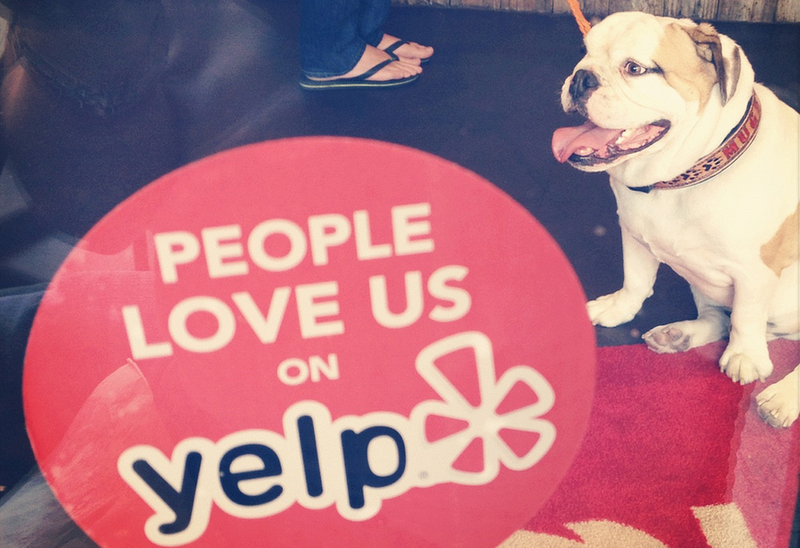 The trial court in the Yelp case held that the plaintiff didn’t need to demonstrate that compelling interest because the reviews are commercial speech. But Yelp argues that case law shows that critical statements of companies are not necessarily commercial speech, even if they may injure the subject’s business. The appeal cites SCOTUS as declaring that commercial speech is “usually defined as speech that does no more than propose a commercial transaction,” which a private consumer’s review of a product or service would not fall into. The appeal points out that appellate courts in numerous states — while not all taking the exact same route — have agreed that a plaintiff must present admissible evidence that the reviews are false — and possibly evidence of damages — before it can obtain the identity of an anonymous defendant. “Yelp is concerned that if the Court of Appeals decision stands, and a company is able to identify its critics by doing no more than representing that it believes that its critics are not customers, consumers and others who have valuable contributions to make to public debate, but who worry about retaliation, will be chilled into silence,” reads the appeal. Also at issue is a Virginia State Law that does not provide additional protections to anonymous Internet users. The appeals court claimed that adopting Yelp’s position in this case would require that it declare this statute unconstitutional. But Yelp argues that the First Amendment only offers additional protections that this statute does not, so the court need not consider whether or not the state law is constitutional. The case goes before the Virginia Supremes tomorrow in Richmond, with a decision coming later this year.